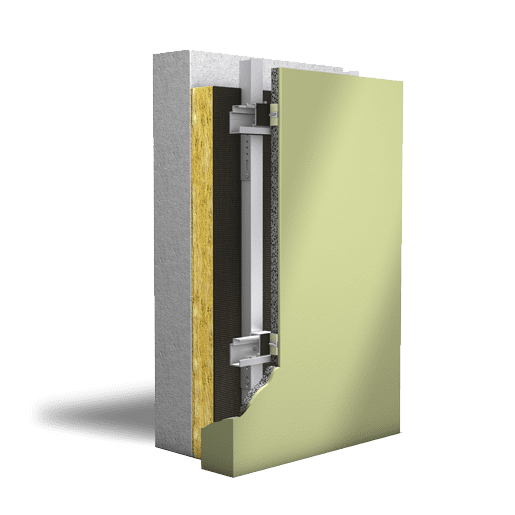 Airtec ceramic panels are suspended on an aluminium sub-structure without visible fixings. The panels consist of a 6mm thick veneer on a patented lightweight concrete panel that is max 19mm thick. In composite, the system is extremely resistant to mechanical damage and highly weather resistant. Available in large format panel sizes with mitered corners. The diversity of finishes and colours available for the Airtec Ceramic system brings creative freedom. Natural stone effect, hessian texture or even metallic surfaces enhanced with a rust-effect can be produced. 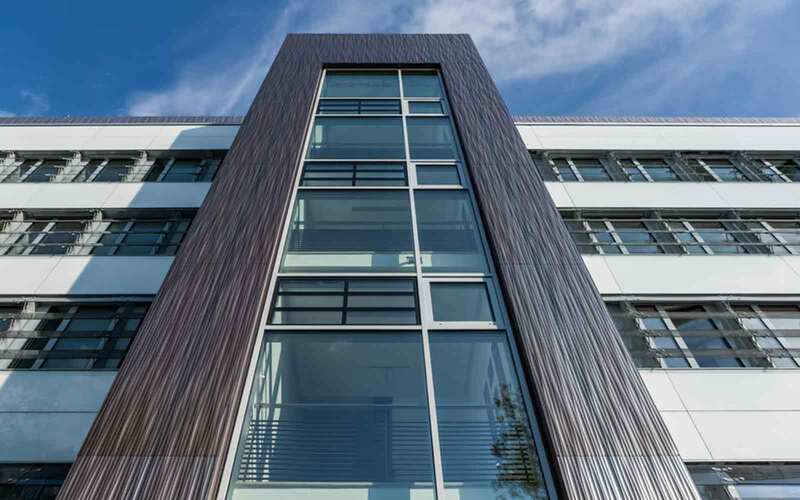 A lightweight material with practically zero water absorption makes Airtec Ceramic highly weather resistant and very low maintenance - ideal for city centre rainscreen cladding. 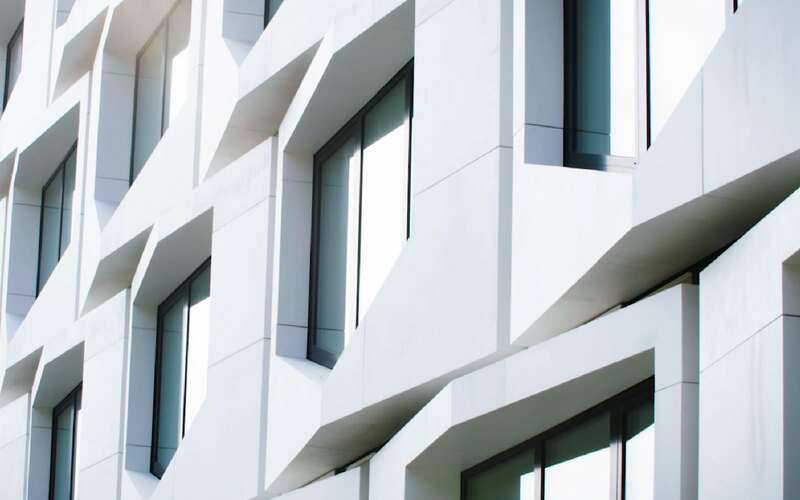 Three-dimensional preformed units such as mitered corners, angles or U-sections can be designed and produced giving a monolithic imapact that is quite unique to ceramic and porcelain façades. Like all Airtec products, the manufacturing process is principally hand-made by highly skilled craftsmen. The composite panel is created in several delicate stages, each one as important as the next. View Airtec Ceramic in production in the video. The brainchild of world renowned architect Hadi Tehrani, Frankfurt Flare represents the most recognised and ostentatious real estate in Frankfurt. 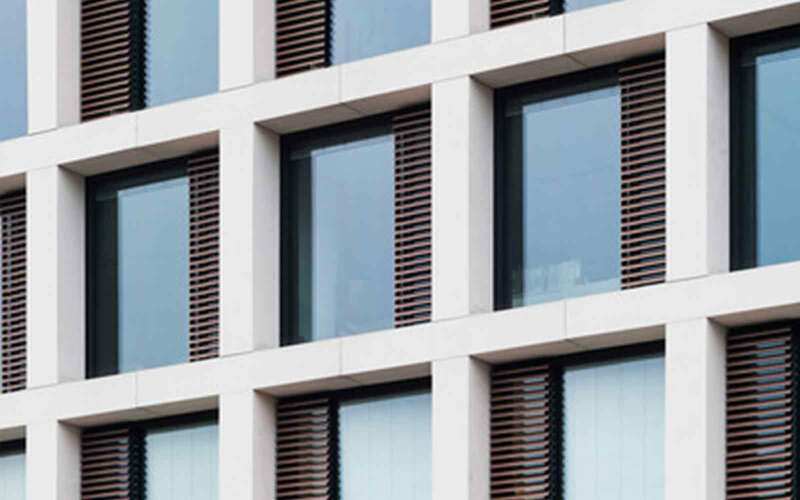 Airtec Ceramic was constructed in 3 dimension modules that were installed swiftly by crane directly onto the facade.